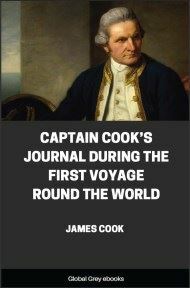 For more than eight years, George Grey devoted a great part of his available time to collecting ancient myths, poems and legends of the New Zealanders. The ultimate result was the collection of a large mass of materials. 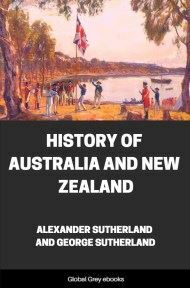 He felt unwilling that the result of his labours should be lost to those whose duty it may be thereafter to deal with the natives of New Zealand; and so he published his extensive collection of ancient traditional poems, religious chants and songs of the Maori race. 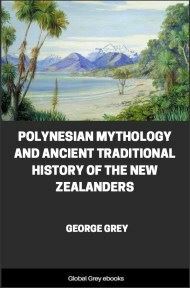 It is in this volume that George Grey first presented "to the European reader" the first written record and translation of the principal portions of ancient Maori mythology and of some of their most interesting legends. MEN had but one pair of primitive ancestors; they sprang from the vast heaven that exists above us, and from the earth which lies beneath us. 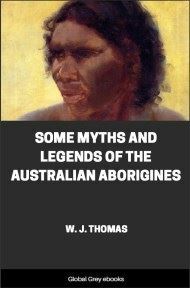 according to the traditions of our race, Rangi and Papa, or Heaven and Earth, were the source from which, in the beginning, all things originated. Darkness then rested upon the heaven and upon the earth, and they still both clave together, for they had not yet been rent apart; and the children they had begotten were ever thinking amongst themselves what might be the difference between darkness and light; they knew that beings had multiplied and increased, and yet light had never broken upon them, but it ever continued dark. Hence these sayings are found in our ancient religious services: 'There was darkness from the first division of time, unto the tenth, to the hundredth, to the thousandth', that is, for a vast space of time; and these divisions of times were considered as beings, and were each termed 'a Po'; and on their account there was as yet no world with its bright light, but darkness only for the beings which existed. The brothers all consented to this proposal, with the exception of Tawhiri-ma-tea, the father of winds and storms, and he, fearing that his kingdom was about to be overthrown, grieved greatly at the thought of his parents being torn apart. Five of the brothers willingly consented to the separation of their parents, but one of them would not agree to it. Hence, also, these sayings of old are found in our prayers: 'Darkness, darkness, light, light, the seeking, the searching, in chaos, in chaos'; these signified the way in which the offspring of heaven and earth sought for some mode of dealing with their parents, so that human beings might increase and live. So, also, these sayings of old time. 'The multitude, the length , signified the multitude of the thoughts of the children of Heaven and Earth, and the length of time they considered whether they should slay their parents, that human beings might be called into existence; for it was in this manner that they talked and consulted amongst themselves. But at length their plans having been agreed on, lo, Rongo-ma-tane, the god and father of the cultivated food of man, rises up, that he may rend apart the heavens and the earth; he struggles, but he tends them not apart. Lo, next, Tangaroa, the god and father of fish and reptiles, rises up, that he may rend apart the heavens and the earth; he also struggles, but he rends them not apart. Lo, next, Haumia-tikitiki, the god and father of the food of man which springs without cultivation, rises up and struggles, but ineffectually. 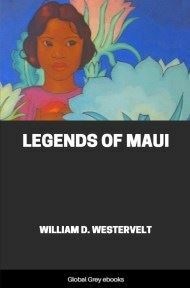 Lo, then, Tu-matauenga, the god and father of fierce human beings, rises up and struggles, but he, too, fails in his efforts. Then, at last, slowly uprises Tane-mahuta, the god and father of forests, of birds, and of insects, and he struggles. With his parents; in vain he strives to rend them apart with his hands and arms. Lo, he pauses; his head is now firmly planted on his mother the earth, his feet he raises up and rests against his father the skies, he strains his back and limbs with mighty effort. Now are rent apart Rangi and Papa, and with cries and groans of woe they shriek aloud: 'Wherefore slay you thus your parents? Why commit you so dreadful a crime as to slay us, as to rend your parents apart? But Tane-mahuta pauses not, he regards not their shrieks and cries; far, far beneath him he presses down the earth; far, far above him he thrusts up the sky. No sooner was heaven rent from earth than the multitude of human beings were discovered whom they had begotten, and who had hitherto lain concealed between the bodies of Rangi and Papa. Then, also, there arose in the breast of Tawhiri-ma-tea, the god and father of winds and storms, a fierce desire to wage war with his brothers, because they had rent apart their common parents. He from the first had refused to consent to his mother being torn from her lord and children; it was his brothers alone that wished for this separation, and desired that Papa-tu-a-nuku, or the Earth alone, should be left as a parent for them.